Finnair will introduce a new cabin class, Premium Economy, for its entire long-haul fleet from 2021. 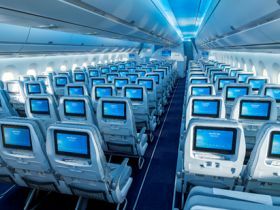 The Premium Economy class will feature highly customised designs for Finnair and provide customers with increased space and comfort along with an enhanced service offering. The rollout of Premium Economy class to Finnair’s long-haul fleet starts in Q4 2020 and is expected to be completed by the end of 2022.